Copywriting mistakes can negatively affect your reputation. It seems to be geared toward people who host their own websites and create original content that they host their. It strives to help you realize that even if you don’t make the copywriting error, hosting someone on your website who makes mistakes on your behalf can also land you trouble. Four of the most common copywriting mistakes and how to avoid them need to be understood. These mistakes include trying to save money, publishing badly proofread content, overusing jargon, and finally writing bad headlines. Proofread all of your content before you release it out into the public as it can seriously affect your reputation. One common mistake that is found on many people’s site is those of copywriting. If you want to have a quality site, do not cheap out and try to take shortcuts. It is important to have vertical visuals to use on mobile phones. Nearly 30% of Americans watch video content on their phones in the vertical setting. Using a few visuals it shows how a video properly formatted for vertical viewing makes a huge difference on a smart phone. Some examples of things to edit vertically are infographics, Snapchat stories, and videos. Most people view online content on a smartphone it is a necessary adjustment for the future. Smartphones have completely changed the way that people are marketing their products or services. Mobile content has become that much more valuable due to the rise in the use of smartphones. Vertical content refers to content that is easy to read when it is elongated on a rectangular device. To make sure viewers of a website are more engaged, the website should include video testimonials. Video testimonials are just like text testimonials but with a person speaking in/over a video of whatever they are promoting. The video testimonial seems to attract more people to the advertisement because it is almost like a referral as opposed to reading a text testimonial which may come across as not human or detached. In order to create the perfect video testimonial, the creator must be able to answer questions the viewers/clients may ask. The second step to creating a great video testimonial is to make sure that the location where the video is being filmed gives some sort of context or relates to what the video testimonial is about. The next step is to make sure that video creation is properly organized by ensuring all video recording materials, lighting, and people in the video are of good quality. The final steps would be interviewing the people giving their testimonies and editing the video. An effective testimonial video can generate affection and trust for your brand. Technical details related to lighting, camera angles and sound are very important for producing an effective video. A video must be edited to feature testimonial quotes that best express your brand message. Internet sources have released that there may be potential for Instagram to expand their platform for businesses to sell their goods and services to users with an Instagram account directly via a new service called IG Shopping. Though Instagram has yet to comment or reveal the company’s plans, including the name of the new service, IG Shopping, the appeal to directly sell and buy from Instagram is attracting attention from both businesses and devoted users. As data confirms that four out of five Instagram users follow at least one business’s Instagram account, there is potential for IG Shopping to enter the market and gain further attention for the app. Instagram may be building their own personal shopping app, reportedly. Instagram is planning to improve on the shopping experience by letting users purchase items from multiple of their favorite brands, all on one account. Not only are there over 25 million businesses on Instagram, but 80% of users follow at least one company. Many content marketers are distancing their companies from the consumer because they spend to much time talking about themselves. Their focus tends to be on the desires of the company as opposed to the customer. Studies show that directing content towards the customer vs the business increases the likelihood of the consumer making the purchase by over 120%. The main goal is to become the one stop shop for information that your target audience is looking for. More often than not, there is too much content displayed – more content that can be digested. The more “audience-centric” the company is, the wider variety of customers will be within reach. Content curation is key because it not only educates customers but also makes your company easier to find and pinpoints your company as a credible source to provide the solution for their needs. LinkedIn offers many different tools to help bring attention to a product or service, and can specifically help reach a specific type of audience you wish to find. One of these tools is the video creator. You can use the video creator to create ads for your business, or maybe even a testimonial video. These videos allow you to engage your targeted consumers and possibly get them to become leads, and then buyers. LinkedIn makes it easy to keep track of your video archive of ads and videos. After videos are uploaded, LinkedIn offers statistics on the videos, such as impressions. When starting a video ad campaign, the best first step is to determine your target audience. Utilize the LinkedIn Technical Guidelines when making your videos, in order to stay above board. After creating your ad campaign in the LinkedIn interface, duplicate it to target different audiences. Marketing research in today’s age of data might be difficult. Availability of marketing information is not the problem, the problem is the use of it. Especially at the times when there are regulations of GDPR compliance which need to be obeyed by marketers. Thankfully there is a solution. In modern times, there is modern technology that can be successfully used to help with the research. One of them is tracking online viewing of the ads and websites, which helps to develop new strategies. Also, there are tools that can be used for predicting trends. Data research can be narrowed to just one group as well. All of this can work in favor of marketers, not against them. Overwhelming data can be confusing to people, not being able to sort through. People are not aware that their data is being used. Modern new data strategies to help narrow down searches streamline. There should be a checklist of things that a person goes through before they launch the debut of their eCommerce business. The first thing to consider would be the name of the business and the domain name being used. Both of these things give off the first impression to the customer and should be creative. The second thing would be to ensure that the website is easy to use with a sleek design that fully advertises the products being sold. The eCommerce aspect of the website should flow seamlessly and be easy to use for the consumer. The website should also include the backstory of the business that gives a human touch to something that can be considered cold (online purchasing). Customers should also be given easy access to ways they could contact the business should they need too. It’s easy to conduct a domain search to see whether your chosen name is available and to find close alternatives if it’s already taken. User-friendly web builders make it easy even for a tech novice to create a sharp online shop. Find it easier to engage visitors and turn them into customers. The major reason why many Entrepreneurs fail with their personal branding is they forget to understand their time and effort. Apart from these, the entrepreneur sometimes doesn’t believe in themselves. Clearing the doubts of your customers is very important. Try to fully understand what is personal branding, it depends on how people think about you. Try to develop a strategy and a clear mission statement. Customers will expect to see a clear, consistent logo, hence it is very important to maintain a constant brand. Try to utilize the best of social media, where you can understand the feelings of the customers and their perception. Personal branding is not only an idea but a representation of your confidence. Be clear about how you wish to present yourself to your audience. Communicate with your audience with active listening skills to encourage mutually beneficial dialogue. When you are placing Ads on Facebook, you should use one or all three of the Facebook Ad types in order to improve your sales. The Carousel Ad allows you to promote your product in a combination of a video and slideshow. The “Shop Now” feature needs to be enabled so that your ad is more effective. Consider a Facebook Slideshow Ad and make sure that you promote the product in such a way that newcomers will not have a chance to be as skeptical. If you include a promo code they can use it to get the product on sale. A video Ad allows you to showcase the product in a way that the viewers will be intrigued. They will watch the video furthermore and then you will have a higher chance of them purchasing the product in the end. The video Ad is more effective than if you were to just put up photos to sell your product. 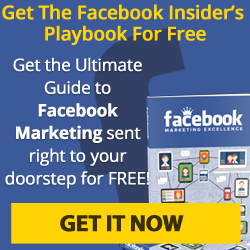 Facebook ads can be used to help promote business. Carousal Ads are the most beneficial ads to use. They provide discount codes and immediately catch audience attention to send consumers to the website. Slideshow ad is the most underutilized ad type of Facebook but can be very beneficial to businesses.